小美工作室 :: FIRST STRONG WORKSHOP LIMITED. Aaron Kwok's versatility as a concert stage performer and as a silver screen actor has elevated his superstar status to an often unrivaled level in Hong Kong and Asia. Over the years, Aaron has developed a highly successful career as a leading pop singer in Hong Kong and Asia. Through countless hours of hard work and total dedication, his musical talent has shined though for over a decade, garnering over 100 music awards. His songs have pleased fans from all over the world causing the Hong Kong media to declare him as one of the original members of the “Four Heavenly Kings” of Chinese pop music. With his boyish good looks, sparkling eyes and dazzling smile – Aaron has been highly sought after throughout the years to be the official spokesperson of many top name brands companies and organizations. He has been internationally and locally featured in commercials and ads, often with a very high success rate. Aaron brings forth an appropriate mix of maturity and youthful energy that creates a uniqueness that is all his own, that is “Aaron Kwok”. His sense of responsibility and serious commitment to each and every job represents his work ethics - to excel and be the very best that he can. 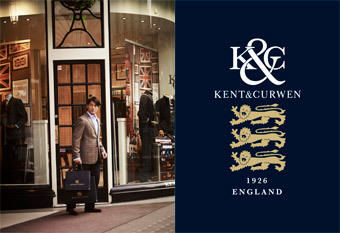 Aaron has been appointed to endorse and represent world renowned brand such as Longines Watches, Kent & Curwen Formal Men's Wear & Luxury Causal Wear, Pepsi, Fuji Film, Clarins Skin Care, Citibank International, Hong Kong Tourist Board and many others local brands in Hong Kong and Mainland China. Most notably, in 1999, he appeared in a landmark Pepsi commercial with Michael's sister - Janet Jackson. It was the first time a Cantopop artist and American star had collaborated; in 2000, he was the first artist in Asia to endorse a banking institution with HSBC Credit Card; in 2005 he was the first artist to ever be featured in the advertising campaign by Hong Kong’s Jockey Club. While acknowledged as a successful film actor, Aaronhas not let the fame affect him. He is constantly looking to improve his skills and commits himself to the art of acting. He understands his acting range and uses his dedication,passion and patience to break through this range in new roles. When the movie "Divergence" was released in 2005, everyone saw a different Aaron Kwok. The 2005 movie “Divergence” was directed by Benny Chan, considered one of Hong Kong's new generations of cutting-edge directors. The dark psychological thriller provided Aaron the ability to flex his dramatic acting skills in a breakthrough role that earned him the 2005 Best Leading Actor Award at Taiwan's 42nd Golden Horse Awards - the oldest Chinese language film award. In 2006, Aaron captured the attention of highly-respected veteran film director Patrick Ka-Ming Tam. He casted Aaron as the deadbeat gambling father – the lead in “After This Our Exile”, a dramatic film about a broken family and the tests of strength, loyalty and boundaries of trust between a father and son. This was the first time for Aaron to not only play the role as a father, but as a frighteningly useless father, blinded by self-delusion that had very little saving qualities. Aaron was able to provide a complete performance and successfully made the character very real and recognizable. His performance was critically acclaimed and Aaron’s ability to open this new chapter in his acting career allowed him to repeat clinching the Best Leading Actor Award at Taiwan’s 43rd Golden Horse Awards. Despite his established and soaring success in music and film, Aaron felt that he had more to offer in the entertainment world. Already achieving success individually as a musician and actor – he recognized what he could do by combining the two skills, on a stage. There was no better way to showcase this – than by staging concerts. Of course, never wanting to settle for the norm, Aaron wanted to have more than just simple concerts. He aimed to break world records and dazzle the audience with memorable and unique live experiences. He provided fans and the world – a taste of Aaron Kwok’s passion for the arts. He wanted to heighten the audience’s viewing experiences and bring them into his vision – his world. He wanted to leave a piece of himself in everyone’s hearts. By pushing himself to exceed new boundaries, he earned the title as the “King of Stage” in Asia. 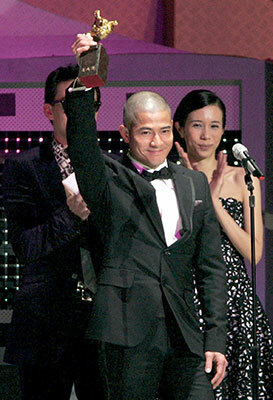 Aaron Kwok has never failed to live up to his title as the “King of the Stage”. In 2004, Aaron made a highly anticipated comeback to the concert stage. "Aaron Kwok Mega Hits Live in Concert 2004" was named the best and most successful concert for nearly 10 years. He reminded the audience of what Aaron Kwok was capable of and left everyone wanting more. 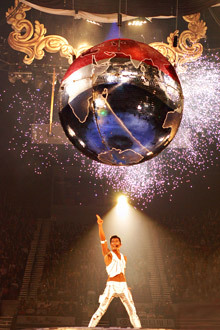 In 2008, “Aaron Kwok’s De Show Reel Concert” was recognized by the Guinness Book of World Records for featuring the World’s largest revolving indoor stage. 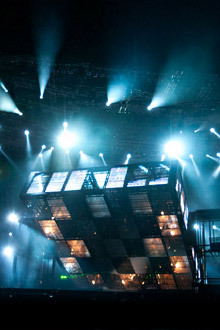 In 2012, “Aaron Kwok’s De Showy Masquerade Concert” features a unique “Transformer” stage which has the ability to morph into eight different shapes, equipped with 21 lifting mechanisms. Amidst dazzling light effects and highly coordinated and skilled dance moves – the stage also has the ability to produce six trampolines transformed from the bottom of the stage for some high flying mid-air twists and somersaults. © FIRST STRONG WORKSHOP LIMITED. All rights reserved.